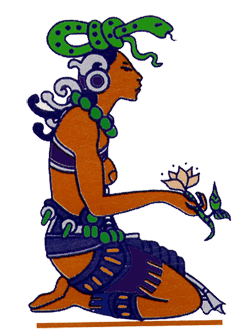 Maya abdominal massage is a technique that encompasses abdominal massage, herbal medicine, and spiritual healing. The massage helps internal organs return to their ideal position as well as increases the flow of blood and lymph. It is based on the traditional methods of the Maya. I work largely with people who are either trying to conceive or healing from birth. I have had incredible success in assisting women to become pregnant. This technique also assists with digestive, menstrual, and urinary issues. Increasing flow in your pelvis and realigning internal organs, and especially your uterus, can ease many menstrual symptoms. I have had the blessing of studying extensively with Dr. Rosita Arvigo of the Arvigo® Institute as well as traditional healer Miss Beatrice Waight. I am currently working closely with Ann Drucker and continuing to learn more about Maya abdominal massage. Sometimes during an abdominal massage, it becomes apparent that it would be helpful to apply internal pelvic techniques. By accessing pelvic floor muscles and applying myofascial release techniques, we are able to open up the pelvis for more health and flow. To learn more about this work, you can go to my teacher Leslie Stager’s website.